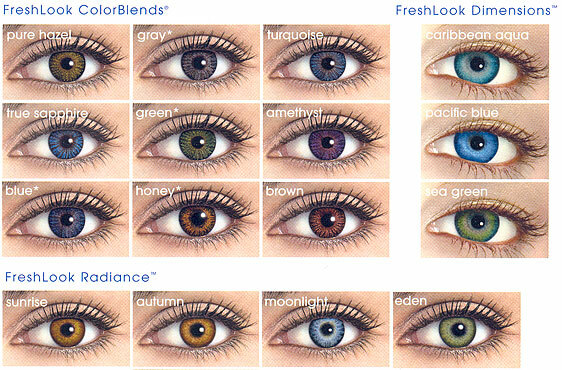 Coloured and Novelty contact Lenses are a fantastic fashion accessory that naturally complement the face. They are easy to use, comfortable and can be customized to fit your prescription needs. As well as offering high quality Contact Lenses, CibaVision (contact lens company) also have an extensive range of coloured and novelty lenses ranging from a natural look eye colour change to exciting designs such as a cats eye. It is important though to maintain proper eye hygiene so contamination and infection can be avoided, a good lens solution is strongly recommended as well as clean hands when using contact lenses.